Fish have ears. They also have ear bones, known as otoliths. Recent research has focused on otoliths of fish from Australia's inland waters. These unique structures act as a kind of scientific time capsule, telling us about environmental conditions of the past. Prior to European arrival, Australia's rivers were naturally dynamic systems. Fluctuations in salinity levels occurred in tune with inflows of sea water from the ocean, and fresh water arriving from further upstream. Waterways such as the Murray River and Coorong are now severely degraded from human activities, such as barrage construction and the removal of water for irrigation. Before these alterations, rivers provided bountiful food and other resources for local people. We can only begin to imagine the sheer number and size of the fish and other animals that would have been found in these waters. But they existed – and evidence can be found in the remains of the meals of the Indigenous people who lived near these waterways over tens of thousands of years. Ancient fish remains are a key source of evidence to help archaeologists and palaeoecologists reconstruct past environments. Fish otoliths, hold a wealth of unique information within their makeup. Otoliths are hard, calcium carbonate structures that help with balance and hearing. They are located in the head of all bony fish, directly behind the brain. Different fish species have otoliths of different shapes and sizes, and an otolith's internal structure has seasonal growth rings, similar to those of a tree. 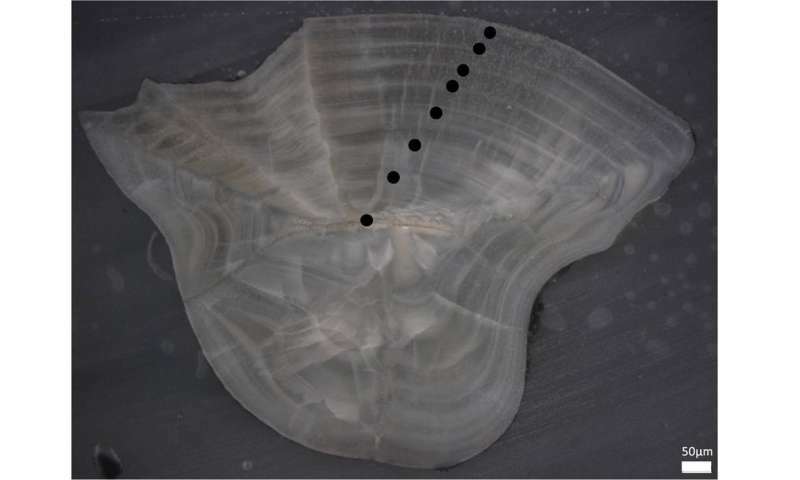 Features of otoliths can be used to identify the species, size, age, growth rate, and season of death of an individual fish. Analysis of the oxygen isotope values of fish otoliths can provide information on the temperature of the water in which the fish lived, while studying concentrations of trace elements such as barium can indicate the salinity levels of the water. 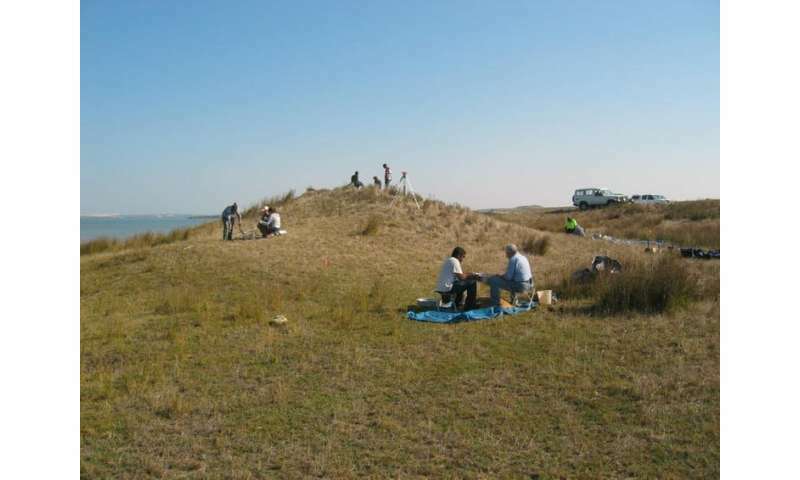 Middens are occupation sites where Aboriginal people left the remains of their meals; they can contain shell, animal bone, plant remains, stone artefacts, and hearths. Studies conducted on archaeological fish otoliths excavated from Aboriginal midden sites have provided rare data on fish populations, environments and the use of natural resources by Indigenous Australians in times long ago. When these data are compared with modern records, changes in fish populations and environmental conditions can be assessed. 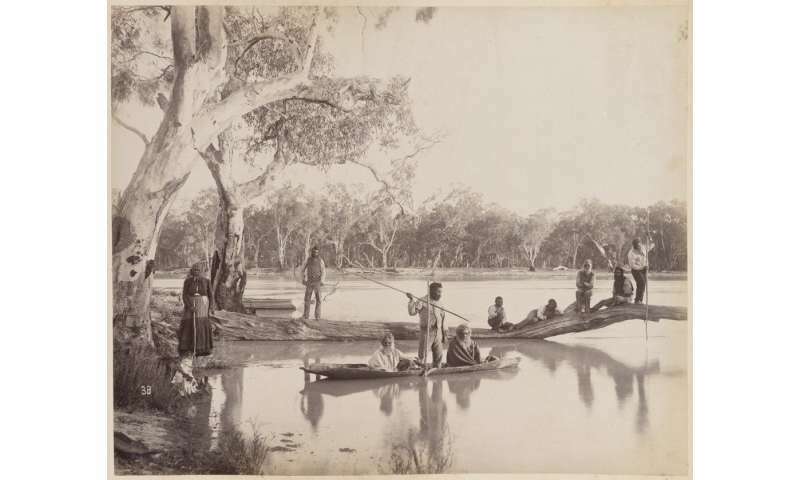 Studies of otoliths from ancient Aboriginal camp sites along the Lower Murray River (approximately 6400 years old) and Coorong region (approximately 2900 years old) show the changing nature of the waterways. Trace element analysis reveals fluctuating levels of salinity in both the river (which is now predominantly fresh) and the estuary (which now experiences hypersaline conditions in some areas). This change is likely the result of the extensive alteration of the river since the early 1900s. People did express opinions about these changes when they were first initiated. Historical newspaper articles record the concern of residents and fishers about the damage barrages and weirs were having on fish populations. An article titled Fishermen Oppose Murray Barrage – Would Mean Ruin, reported from Milang and published in The Advertiser, 27 June 1933 reads: "Most local fishermen are strongly opposed to the proposal to build a barrage across the mouth of the Murray. They declare that it would completely block the supply of butterfish (mulloway) about the lakes." The locks impede the free passage of the fish during low water periods, and the seepage of salt water from irrigation turns the water, impounded by locks and weirs, stagnant and salt, and kills the fish. The impact of overfishing and environmental changes on river systems can be seen by assessing the size and age of relevant fish species. Overfished populations usually experience some degree of change that reflects the targeting of larger, older individuals – with some species more susceptible to long-term impacts. However, because the systematic collection of fisheries data in most parts of the world is only very recent – less than 100 years in most parts of Australia – it is difficult to determine what fish populations looked like prior to the industrialisation of fishing in the nineteenth century. The "shifting baseline syndrome" refers to the concept that fish populations are measured against baselines identified by each successive generation of researchers, baselines which themselves may represent significant changes from even earlier states. Overriding this issue to some extent, fish remains from archaeological sites can be used to extend the recent record of fish population data. When combined with historical archival information and modern fisheries data, changes in fish abundance, age and size over time can be examined. In particular, fish length can be determined based on the size of the otoliths. The endangered iconic Murray cod (Maccullochella peelii), Australia's largest native freshwater species, is currently known to reach lengths of around 180 centimetres, weigh up to 100 kilograms, and live to an age of around 48 years. It is one large fish. Archaeological otoliths from midden sites in the Lower Murray River region that are at least 5000 years old, show that in the past, monstrous Murray cod (more than 220 centimetres long!) once lived in this part of the river, and were targeted by the Indigenous people who lived there, the Ngarrindjeri. Historical records show that between 1955 and 2001, Murray cod were the third most commercially harvested species in the Lower Murray-Darling catchment. However, the commercial fishery is now closed, and the species has been listed as vulnerable under Australia's Environmental Protection and Biodiversity Act 1999. Conservation and rehabilitation of native flora and fauna is of vital importance if we are to ensure its survival for future generations. But it can be difficult to truly understand the extent of damage that has been wrought on our environment throughout the industrialised age – because seeing past our own experience is impossible without evidence from the time long before us. Archaeological remains hold crucial information for increasing our knowledge of the past condition of our waterways and native fish populations. 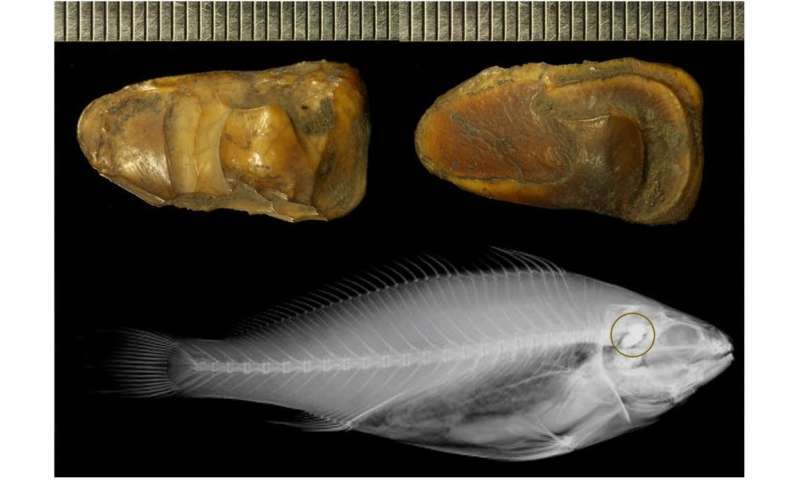 Ancient fish otoliths in particular, carry unique evidence that can inform us of past fish populations and environmental conditions, providing real rehabilitation targets.